…Aaaaand we’re back! This time around on the Nerfherder Council – our first of 2017 – we explain what happened to our last episode. Rathtars! 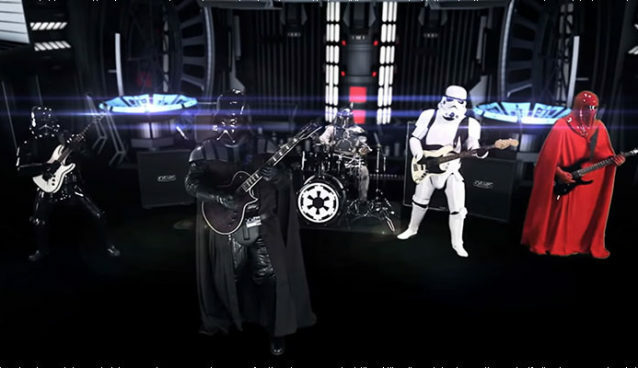 The Council also interviews Dark Vader of “Galactic Empire” on the eve of their US mini-tour to talk about the origins of the band, playing music in full Star Wars costume, and staying on Darth Mickey’s good side. Also, happy anniversary to us! We reflect on some of our most and least favorite moments of our first year on the air. We also lay out our plans for a guerrilla invasion of Star Wars Celebration Orlando, because let’s face it: we’re coming whether they like it or not! And of course, we take a few minutes to reflect on the passing of true Star Wars royalty, Carrie Fisher. Like the show? Spread the word! Like us on Facebook, follow us on Twitter, share our Spreaker page, rate/review us on iTunes.